Why are artificial sweeteners bad for you? We all love sugar but we also know that the sweet taste comes at a price. Price in the form of calories and sugar is full of them. Just one teaspoon of sugar contains 16 calories and the average American consumes 22.2 teaspoons of sugar a day which amounts to 355 calories. This knowledge, combined with the fact that all of us watch our weight at one point or another, had us reaching for the artificial sweeteners. What was not to like? The food or drinks tasted just as good yet no calories were entering our bodies. So why exactly are artificial sweeteners bad for you? 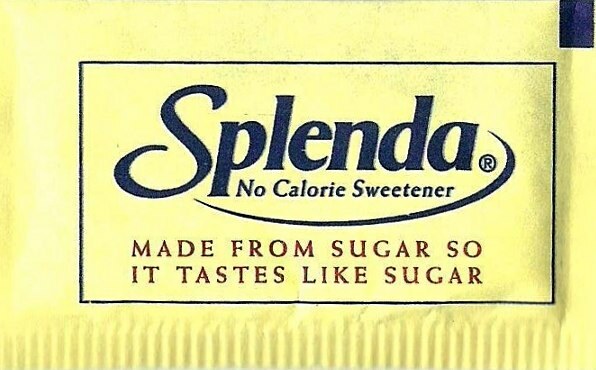 Artificial sweeteners are synthetic sugar substitutes which recreate the sweet taste of sugar with very few calories. Therein lies the problem. The minute the sweet taste is detected a number of events get triggered in the brain including taste, learning, memory and reward systems. When you consume artificial sweetener the tastebuds taste the sweetness, the messages get sent to the brain to expect calories but no calories arrive. Eating artificial sweetener over time alters the way body deals with sweet tastes. The body learns that the taste of sweetness is not associated with calorie intake and as a result releases less hormones. When sugar is consumed the body doesn’t release enough hormones to deal with the sugar because it expects no calories to come in. This causes bigger spikes in blood sugar and more sugar to be stored as fat. Artificial sweeteners are effective at tricking our taste buds but not the brain and studies confirm this. There are also other forces at play. Artificial sweeteners can be 200, 600 even 8000 times sweeter than sugar. Habitual use of these sweeteners can lead to preferring highly sweet, unhealthy foods because the body has adjusted to the high sweetness level. Experts also believe that when artificial sweeteners are consumed the body does not feel the effects of satiety and continues the replace the ‘lost’ calories through eating other foods. In addition, artificial sweeteners have been shown to be addictive. A study conducted at the University of Bordeaux, France shows that when rats were given a choice between cocaine and an artificial sweetener saccharin they chose the artificial sweetener. If you are still not convinced, there is a growing amount of research which links consumption of artificial sweeteners with adverse health impacts. In her study Susan Swithers at Purdue University found that consumption of artificially sweetened diet drinks was associated with obesity, type 2 diabetes, metabolic syndrome and cardiovascular disease and she believes that it is this metabolic confusion which explains how artificial sweeteners have such an adverse health impacts. Another study showed that diabetes prone mice who were fed artificial sweetener aspartame for three months had higher sugar glucose levels than mice who did not consume the artificial sweetener. In yet another study results showed that consumption of 0.5l (1 US pint) of diet drinks per week was associated with 15% increase in risk of developing diabetes and consumption of 1.5l (3 US pints) of diet drinks per week was associated with 59% increase in the risk. Over the years artificial sweeteners have found their way into many other products including chewing gum, jellies, baked goods, candy, fruit juice, ice cream, yogurt and processed ready made food. To avoid artificial sweeteners in these foods, it is important to check the label. Even though artificial sweeteners are not good for us, this does not mean that we can consume as much sugar as we want. Sugar has its own problems and it is best limited to consuming once in a while or in small amounts. It may be difficult to give up sugars at the beginning because they are all around us but like with any muscle you can train your brain not to crave sugar by eating the right things at the right time. Tags: artificial sweeteners, Calorie, Diabetes mellitus type 2, Food and Drug Administration, Purdue University, soft drinks, Sugar, Sugar substitute, sweeteners, Sweetness, United States, Yale School of Medicine | Permalink.